In this episode we are going to talk about issues facing residents such as loan repayment , refinance loans or not, buying disability insurance, which accounts residents should focus on starting to fund, buying a home versus renting, and the importance of living like a resident after residency. Every one of the questions today comes from a resident and we will be talking about these issues specific to them. You can listen to the podcast here or it is available via the traditional podcast outlets, ITunes, Overcast, Acast, Stitcher, Google Play. Or watch the video here or on YouTube. Or ask Alexa to play it for you. Enjoy! 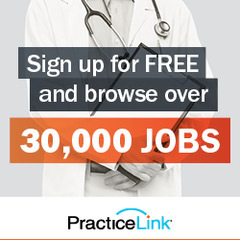 [00:00:20] Did you know PracticeLink, the #1 online physician job board, helps you find the right opportunity in the right community, AND it’s 100% free? Join PracticeLink today to browse physician and advanced practitioner opportunities across town or across the country. Create a profile to make yourself visible to physician recruiters looking for you. Visit PracticeLink to learn about all the free career resources available. [00:01:23] I want to remind you about our financial Independence Day sale we are having this week. We are offering the Fire your Financial Adviser course at 15% off from June 30th through July 7th in celebration of Independence Day. You’ll need to use the code “INDEPENDENCE” to get the discount when you check out. This course has helped hundreds of docs get a handle on their financial life. [00:01:41] The White Coat Investor Facebook Group has also been started. It is private, meaning you have to apply and be accepted to get in and what you write and ask there will be visible only to members of the group and can’t be searched online. You don’t have to be a doctor to join the group, but you do have to be a high-income professional (or spouse of one or student who will soon be a high-income professional) AND not a financial professional in order to join. It will be a place to become financially literate, interact with your peers, ask “stupid” questions, and get candid recommendations. [00:02:33] In this episode we are going to talk all about issues facing residents. Every one of the questions today comes from a resident and we will be talking about these issues specific to them. [00:03:39] Loan repayment. Should you wait the six month grace period or not? [00:05:47] Should you refinance your loans or not? And should you use a variable or a fixed rate loan? [00:12:03] Which accounts should residents focus on starting to fund? [00:15:14] Buying a house versus renting. [00:17:07] The most important financial thing you can do during residency is to have a plan, so you hit the ground running with your first attending paycheck. You need a plan that outlines how you’re going to live like a resident. Remember we are offering the Fire your Financial Adviser course at 15% off from June 30th through July 7th in celebration of Independence Day. And join the White Coat Investor Facebook Group today. [00:00:20] Welcome to the Whitecoat investor Podcast Episode number 61. All about residence. Did you know PracticeLink, the #1 online physician job board, helps you find the right opportunity in the right community, AND it’s 100% free? Join PracticeLink today to browse physician and advanced practitioner opportunities across town or across the country. Create a profile to make yourself visible to physician recruiters looking for you. Visit PracticeLink to learn about all the free career resources available. [00:00:57] Our quote of the day today comes from Morgan Housel who said in what other field to someone with no education no relevant experience no resources and no connections vastly outperform someone with the best education the most relevant experience has the best resources and the best connections? These stories happen in investing. That’s certainly the truth. It’s pretty amazing with index fund investing just how many very smart people you can outperform. [00:01:23] I want to remind you about our financial independence day sale we’re having this week. It’s only for a couple of days more after you hear this podcast if you’re listening to it the day it came out. But we’re offering the fire your financial adviser course at 15 percent off from June 30th through July 7th in celebration of Independence Day. [00:01:41] If you haven’t taken this course yet but you don’t have a written financial plan, this is your chance. It’s not the cheapest thing out there but it is very comprehensive and allows you to finish the course with a written financial plan that you might pay thousands to a financial adviser to help you develop. But the best part about it is you now have the knowledge to develop it and modify it as needed going forward so that you can manage your own investments, which may save you literally millions over the course of your career. Also if you haven’t checked it out yet and you’re into Facebook, I encourage you to join the White coat investors Facebook group. It’s a private group so you have to apply to do it. But if you listen to this podcast you probably qualify to be in the group. We’re just looking for high income professionals but not financial professionals who are interested in a private way to talk to others about financial questions and to get recommendations. [00:02:33] In this episode we’re going to talk all about issues facing residents. Every one of the questions today comes from a resident and we’ll be talking about issues specific to them. The idea for this came from a listener who wrote in saying most of the podcast episodes have at least a few tidbits of information or answers to questions asked by residents. But I was wondering if you would be able to do or have thought about doing one podcast episode dedicated 100 percent to residents. [00:03:01] I know my focus for the next three years will be to get the most in residency and I won’t have the salary or time to invest or plan heavily towards retirement. It is almost July 1st it would be really cool to Have all the important, pertinent info recapped in one place. My friends always ask which episode to start on and it is hard to pick one that would be right for the brand new doctor soon to get their very first resident paycheck. Off the top of my head, Some topics could be loan repayment refinance loans or not, Buying disability insurance, which accounts residents should focus on starting to fund, buying a home versus renting, Importance of Living Like A resident after residency and anything else you wish you would have known financially when first starting your career in medicine. [00:03:39] Okay let’s hit some of those topics today. The first one was about loan repayment. Should you wait the six month grace period or not. Well since the advent of these income driven repayment programs and particularly revised pay as you earn and the public service loan forgiveness program you actually want to make as many payments as you can during residency. And the reason why is under repay your payments are subsidized but they’re not subsidized if you’re in a grace period. Basically the government pays for half of the interest that your payment doesn’t cover. So if you have a two hundred thousand dollars 6 percent loan and the interest on that is a thousand dollars a month and your payment is two hundred dollars a month well four hundred dollars of that additional interest gets added onto the balance of the loan and four hundred dollars is wiped out by the government under repay. [00:04:36] So if you’re not making those payments if you’re in the grace period all thousand dollars gets added on to the balance of your loan. Obviously that’s less than ideal especially if you could get the government to cough up 400 bucks a month toward your loans. So you want to get those loans going as soon as possible. Now I know a lot of people have run into trouble trying to get trying to avoid that grace period. But some people have been able to do it by consolidating their loans right as they graduate from medical school and start making payments right away. And that’s obviously the ideal especially under the Public Service Loan Forgiveness program. Right. You want to make as many tiny payments as you can because you have to make 120 of them. And if you don’t make tiny payments you have to make full size payments later as an attendee. So you’re far better off making 100 dollar, 200 dollar payments during residency than you are making 5000 dollar payments as an attendee. The less you pay as a resident the more there is left to be forgiven after 10 years. And so really you don’t want to take advantage of those grace periods. You know just to get out of 100 or 200 dollars a month payment as a resident you can afford that as a resident. And particularly if you’re going for forgiveness you really want to be making those payments. [00:05:47] Next question Should I refinance my loans or not. And should I use a variable or a fixed rate loan. Well that depends. It’s kind of a complicated question. 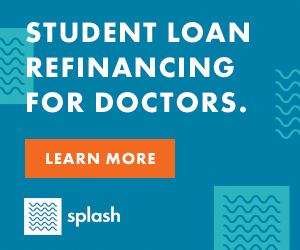 [00:05:57] As far as private medical school loans go you can refinance those safely anytime if you can get a better rate from one of the four companies that is refinancing student loans for residents. Then you should do that for a private loan. There’s no benefit to keeping it with the original lender if you can get a lower rate. You’re not going to get any sort of income driven repayment program. You’re not getting any sort of forgiveness program for it so you might as well refinance him. Bear in mind that all four of those companies offer you some sort of lower payment as a resident. So your payment can be anywhere from zero dollars a month to 100 dollars a month and you can afford that is probably lower than what your payments are in the repay or the pay program for your federal loans. So for those private loans refinance them right away. [00:06:42] As far as the federal loans go you may or may not want to refinance those if you’re sure you’re not going for Public Service Loan Forgiveness and you’re going to be paying these things back then it’s just a matter of finding the best interest rate. And that might be your subsidized interest rate under repay. You have to calculate what your payment would be and what your effective interest rate would be under that program and then compare that to what they’re offering you if you refinance. You want to apply with those four programs see what they’ll offer you calculate out what your effective rate would be under repay. And that’s variable that’s obviously different for everybody. And then take the lower one. [00:07:22] If you’re not sure if you’re going to be going for Public Service Loan Forgiveness. Then don’t refinance. You want to stay in the government programs and until you’re sure that you’re not going be working for a 501C3 after residency. It really makes me cry when I run into residents or rather attendings who’ve been making payments for years and if they had just been in some sort of government program their loans would have already been forgiven. In an academician that’s you know five six seven eight years out of residency and still making payments. It’s really kind of sad actually because their loans should be gone at this point. [00:08:00] All right. Variable versus fixed rate. You know I’m a big fan of variable rate loans and I’ll tell you why when you get a fixed rate loan what you’re really doing is buying a variable rate loan and paying an insurance premium. That insurance premium you paid to the bank in the form of a higher interest rate. And what that does is it allows the bank to run that interest rate risk rather than you running it. So the downside of a variable rate loan is that you don’t have that insurance in case of interest rates rising rapidly and particularly in our current environment where the Fed has said they’re going to raise rates for a while. You kind of know they are going to go up. And so if you are you know in a live like a resident period after residency and you’re expected to pay these things off in two or three or four years you can afford to run that risk. If you think you’re going be making payments for 15 years maybe you want to have a fixed rate but that’s going to be individual for everybody. [00:08:58] So really evaluate what the consequences would be if rates went up. And if they’re not that bad. Go ahead and take the variable rate loan. You’ll likely save a lot of money. Basically anybody who’s used a variable rate loan from 2008 or so until now has actually come out ahead of those who took out fixed rate loans over that entire time period. Now that doesn’t mean that will be the case going forward. But bear in mind when you take a variable rate loan too bad things have to happen. Rates have to rise and they have to rise significantly and it has to happen early in the course of your payback period. For instance if your plan planning on paying back your loans over five years and the rates don’t rise for four years and they only go up 1 percent you’re still going to come out ahead with a variable rate loan. [00:09:46] OK let’s talk about buying disability insurance. 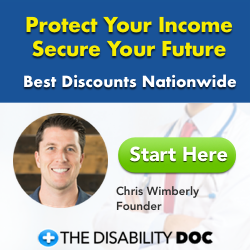 Pretty much everybody needs disability insurance if they’re relying on their income until you’re financially independent. You need the stuff and it’s frustrating because it’s expensive. It’s so expensive that residents honestly can’t afford to buy as much as they need. [00:10:03] I mean the ideal would be to buy enough that if you get disabled your lifestyle stays the same as what it would have been becoming an attending and living the rest of your life working but obviously not with the companies not sell you enough disability insurance to be able to do that when you’re a resident and on a lower income but you can’t afford it anyway quite honestly. So typically when a resident does as they buy a benefit of 5000 or maybe 75 hundred dollars a month and then they can’t can’t do anything until they become an attending above and beyond that. So as an attending they do one of two things if they’re still healthy uninsurable and haven’t taken up any bad habits like rock climbing they just buy another policy. If they have had some health consequences come in what they usually do is exercise a rider they’ve been paying for as a resident called a future purchase option rider and that allows them to buy more coverage As an attendee. So how much do you need? Well as an attendee you want enough to cover all your expenses. Plus enough to save for retirement because remember these policies generally only pay at age 65 or age 67. If you don’t have any additional money on the side besides that you’re going to go straight from your disability insurance policy. That might be paying ten or fifteen thousand dollars a month to Social Security which might be paying three thousand dollars a month. And so it can be pretty dramatic decrease in your lifestyle when you hit age 65 or 67. So the bottom line is even if you go on disability you need to be getting enough of a benefit that you can at least save something for retirement as you go through the years on your disability. [00:11:46] Bear in mind most individual policies are paid using post tax dollars. And so the benefits are also post tax so don’t count your taxes and when you’re thinking about the expenses you need to cover with disability insurance which for many taxes is their biggest expense. [00:12:03] All right which accounts should residents focus on starting to fund. Well the general rule for reson is to use a Roth account or a tax free account. Remember with a tax deferred account like most 401 ks and traditional IRAs you get the tax break upfront. And then when you pull the money out in retirement you pay taxes on it. But for a resident there usually in the lowest tax bracket of their entire life. And so it makes a lot of sense to instead pay the taxes now and enjoy tax free benefits later. Not only does it money grow tax free in the account but when you pull it out in retirement you not pay any taxes on it at all. [00:12:38] So that means Roth IRAs. And you know if you’re married to a higher earner, if your spouse is an attending, you may have to do that Roth IRA through the backdoor, but that’s OK. It’s basically the same thing. And then if you’re going to invest in your employer’s account check and see if they have a Roth 403b and always of course make sure if your employer is offering you a match and you can find out by reading the plan document that your human resources department has to give you if you ask for it. You can read in there and see if there’s a Roth 4O3b or a Roth 401k account and you can read in there and see if there’s a match. You always want to contribute enough to get the match. That’s free money. It’s basically leaving part of your salary on the table if you don’t get that. [00:13:22] So always contribute enough to that account to get the match if you can put it into a Roth account and if you can save more than that above and beyond you know what it takes to get the match and what it takes to max out a Roth IRA. Put it again into a Roth 4O3b. Now if you’re a super saver and you’re saving you know maxing out a Roth IRA and you’re maxing out your spousal Roth IRA and you want to save more but your employer doesn’t offer a Roth option and the 4O3b or the 401k. One other thing you can do is to contribute tax deferred contributions into that account. It’s nice to get a you know the tax break as a resident I suppose even if you’d rather get it later. But then the year you leave residency convert the whole thing to a Roth. Now that’s going to cost you some taxes but you should have an attendant income at that point. So as long as you’re continuing to live like a resident you can afford to pay those taxes. It’s not quite as good as contributing to a Roth account as you go along because that year you’ll be in a little bit higher bracket than you were throughout residency but you’ll still be in a lower bracket than you will the rest of your career because for half a year you only had a resident income. So that’s one way that some people get around it when they don’t have a Roth 403 b account available to them. [00:14:39] You know a lot of people that are residents he asked me about health savings accounts and that sort of thing. But in general most resident health plans are pretty good, they’re not high deductible plans and so you often don’t qualify to use a health savings account. So you may have to leave that until you’re attending years. [00:14:54] And then of course 529 for your children if you have kids already in residency. That kind of stuff is probably best left until you’re an attending. Quite honestly the tax breaks aren’t as good as they are for retirement accounts. And besides your retirement has to come first before college savings even if you have older kids. [00:15:14] OK let’s talk a little bit about buying a house versus renting although if you’re already in residency probably already made this decision. I’m not a big fan of residents owning houses. Can they come out ahead doing it. Yeah they can. And that’s what makes it so difficult because people look at other residents that made money and think oh I want that, I want to make money like they did. What they don’t realize is a huge percentage of residents not only had to deal with the hassle of owning a house during residency but they didn’t make money. They came up behind even when they think they made money. Just because you sell the place for more than you bought it for doesn’t mean you made money on it. Once you take into account the transaction costs and the vacancies and the upgrade costs and all that cost stuff. It also becomes difficult because real estate is cyclical. So for example you may be coming into a residency where all the residents that bought made money and yet all the ones who by the year you come in end up losing money. [00:16:08] And so it can be difficult because if you just do what people are doing, were due in a few years ago you can end up doing the exact wrong thing due to the cyclical nature of it. So be careful with this. I figure after about three years maybe a third of people that buy end up you know making money on it after five years maybe 50 percent. And so at that point it starts being you might be a reasonable idea. But the truth is during residency you have so much other stuff going on the last thing you need to take care of a house and it’s not like buying a house and residency is somehow going to catapult you into financial freedom. You just can’t afford a big enough house that even a ton of appreciation during residency is going to make a huge difference compared to what you do with your finances The first few years out of residency. So in general I recommend you rent as a resident but it’s not the end of the world if you’ve already bought. Hopefully you come out ahead and if you don’t you hopefully don’t come out too far behind. [00:17:07] OK. The most important financial thing you can do during residency. Aside from maybe getting disability and life insurance plan in place for the people depending on you, is to have a plan. So you hit the ground running with your first attending paycheck. Basically you need a plan that outlines how you’re going to live like a resident and where those first 12 attending paychecks are going to go. And if you have that you’re going to be ahead of 95 percent of your colleagues no matter what specialty you’re in. [00:17:35] Too many doctors just do what comes naturally, which basically is to have bought a big fancy expensive Dr. House on credit with zero percent down before ever leaving residency. Have a couple of car payments. You know maybe some credit card payments. And by the time your student loan payments have to start being paid a few months later you realize that you’re really stuck on the treadmill for the next 30 years and you’re not good enough just because you have a lot of payments to make. [00:18:04] Anything else you wish you would have known financially when it first started in a career in medicine? Well it’s hard to say. You know there’s lots of things we all wish we knew and we’ve all got to learn as we go along. But I think perhaps one of the most important things to learn is just how important your savings rate is in the beginning. We all like to focus on investments and what your investment returns are. But it honestly it doesn’t matter what your investment return is when you only have ten thousand dollars invested. You’ve got to get some money into that account so that compound interest actually has something to work on. And in the first five or 10 years out of residency you return almost doesn’t matter at all. It’s all about how much money you’re putting in there. And I think that’s probably the place to focus And that a lot of people don’t realize. [00:18:47] Okay here’s a question from a resident. I’m a resident entering my final year of residency I have a Roth IRA with Vanguard and a governmental 457 b that offers an employer match. [00:18:57] I will have to roll the 457 money into a retirement account upon leaving residency and was wondering about some general advice about how to go about doing so. I’m a little skeptical. That’s actually a 457 B as most of those don’t have a match but will go with it. I’m starting moonlighting soon I’m considering opening an individual retirement account for which to place that money. I’m also trying to help lower my tax rate that I expect to increase this year due to resident salary increases and aforementioned moonlighting. Should I opened up a solo 401K, traditional IRA, or Roth 401k at a company such as E-Trade that I can use to roll over my 457 B. [00:19:31] Ideally this would be an account I could also use to fund my back door Roth when my income significantly changes. I’m somewhat confused about what sort of personal retirement account to open in order to facilitate all this and not incur penalties. Thanks for your help and consideration. [00:19:46] OK it does sound like you’re a little bit confused. Like I said you may be talking about a 403B and not a 457 B but let’s just assume you know what you’re talking about with the 457 B. 457 B come into flavors governmental and non-governmental. The governmental ones can be rolled over into a 401k or an IRA when you leave your employer. The non-governmental ones generally can’t and have all kinds of wacky distribution options. Sometimes you have to take all the money outright when you leave the employer. Sometimes you spread it out over five years. It just really varies quite a bit. [00:20:18] But it sounds like this is probably a governmental one that can be rolled into a 401k or a traditional IRA. So that’s probably what you ought to do when you leave the residency. The problem is if you roll it into a traditional IRA it’s going to screw up your back door Roth accounts Going forward. You’re not allowed to have any money in a SEP IRA a simple IRA or a traditional IRA On December 31 of the year you do the conversion step of a backdoor Roth IRA. So what you should usually do in those situations is rolled into a 401k and a great 401k to roll it into is your solo 401k which most docs ought to try to get Any time they have self employment income. E-Trade is a nice one because it allows you to roll IRAs into it unlike Vanguard’s account. And so that’s a reasonable place to do your individual 401k. So in this doc situation the typical thing you would do is you would open this up and use it to make contributions from your moonlighting income. And then anytime you need to roll something over like an IRA or a SEP IRA or 4O3b or 401k or 457 B that’s governmental is you just roll that into your individual 401K cause that balance doesn’t count toward that pro-rata calculation when it comes to doing your backdoor Roth IRA. But it’s still you know tax protected asset protected kind of account. So hopefully that clears up the confusion on that question. [00:21:48] OK here’s another doc in residency writing in, I have a hundred twenty seven thousand dollars in medical school debt. I’m entering a two year residency July 2nd. [00:21:58] OK that’s pretty good actually 127 thousand’s way below average. I called my loan servicer and they talked to me about forbearance and repay. What would you suggest I do in the grand scheme of things. I’m planning on paying it off two to three years after residency by living like a resident. That’s good. As of right now I’m thinking forbearance and then refinancing after my residency. I understand the capitalized interest of course. Please help if possible. [00:22:20] Well forbearance is almost never the right solution. I mean forbearance is the right solution for somebody that can’t pay 100 dollars a month. I mean if you budget is so tight that you literally can’t come up with 100 bucks a month then maybe forbearance is right for you but that’s almost nobody. I mean come on a hundred bucks you can come up with that even as a resident. And so this Doc’s plan on paying everything. So all options are on the table. Doc can either use repay and see how big the subsidy is going to be from the government or this doc can use refinancing. You know you can even get a zero dollars a month payment with refinancing with those four lenders that will do that and if you don’t know it for lenders I’m talking about go to the White coat investor website under recommendations and there are student loan refinancing tab there and click on that it’s got all the special deals we have for refinancing with these private companies but four of them are listed there as working with residents and having these special resident programs you don’t even have to have an attendant contract and can still refinance your loans. [00:23:22] But in this sort of situation I’m going to bet the refinancing is probably the best move for this doc. But of course compare it to the effective interest rate under repay and if that’s lower than do that at least until it no longer is lower. It’s one of those things you really ought to calculate every year. [00:23:38] Next question I hope you’re doing well I’m a soon to be third year pediatrics resident I want to discuss a peculiar situation I in with you. I’m a single child. My parents who have been together for over 30 years are married, don’t have kids. My wife is a dental student who will finish her school when I finish residency. I’m currently applying for a pediatric subspecialty fellowship. Being a single child. How should my parents manage their money so There is no huge taxation due to the inheritance that I expect 22-25 years down the road? [00:24:07] Well you know a lot of people worry about this because they don’t understand how the estate tax works. Maybe your parents are really really well-off and this is actually a legitimate question for you. But in general this probably isn’t even a reasonable question to be asking. And the reason why is that married people this year have a 22 million dollar exemption from the estate tax. So your parents can leave 22 million to their heirs before any federal estate tax is due. So are your parents worth more than 22 million? If they’re not even close, Then you don’t even have to worry about this question. It’s all coming tax free now. Is it possible there could be some income tax? [00:24:53] Well it depends if they leave you a tax deferred account when you take money out of that. You do have to pay income tax on it. That’s why it’s obviously preferrable to inherit a Roth IRA which is best because you can stretch those tax free benefits out over decades or if that’s not a possibility, It’s nice to inherit just taxable money as well because you get the step up in basis at death meaning that your basis in that, the IRS when they look at you when you sell it they assume you bought it on the day your parents died, and so you only pay taxes on the gains from the time of their death until the time you sell it, which if you sell it right away is basically nothing. And so that those are the two nice kinds of accounts to inherit a traditional IRA or other tax deferred account is also nice to inherit because you can stretch it out over a long time. But you do have to pay taxes as you take the money out. But as far as the estate tax goes you know your parents have to be pretty wealthy before this even becomes a concern. Of course there are some lower exemptions and some states so look up your state and see if you have a lower exemption. The states that have lower exemptions are usually kind of the blue states in the northeast. But every state’s a little bit different. Most don’t have an estate tax at all. [00:26:06] Okay here is a resident who is about to graduate I’m currently graduating and planning life after residency and I plan to try and make some extra income from side gigs if possible. [00:26:13] I’ve been reading about solo 401K and I’m still a bit confused and was hoping you can answer a few questions. According to nerd wallet for people a side gig income the elective contributions per person are not planned. Does that mean I can’t put any elective employee contributions into my solo 401k if I’m putting eighteen thousand five hundred into my employer for one day. Yes that’s true. You only get one employee contribution no matter how many 401 ks you have. [00:26:40] Then he asks if so can I still make that ten thousand five hundred eighty seven dollar employer contribution to the solo 401k with zero dollar employee contributions. Yes you can. So you’re still eligible to make employer contributions or about 20 percent of your net income from this side gig into their into that Solo 401k. So the typical pattern that people do is they put their employee contribution into their employer’s 401k and they get whatever match the employer’s offering. And then for their side gig they put 20 percent of their what they’re making into their Solo 401k as an employer contribution. [00:27:16] Next question this doctor asked is, Is the 50000 dollar self employment income tax at the self employment tax rate or at my marginal income tax bracket because of my physician income? Sounds like this Doc is a little confused about how the tax system works. You have to pay federal income tax on all of your income and you have to pay payroll tax Social Security and Medicare on all of your earned income. And so it’s not like there’s a separate self employment tax. [00:27:48] Self employment taxes is just your payroll tax. When you’re self-employed you’ve got to pay both the employee side and the employer side. So until you’ve maxed out your Social Security tax for the year you’re going to be paying you know that twelve point four percent towards social security if you’re the employee and the employer although half of that is a tax deduction for the business. No matter how much money you make you’re still going to be paying the Medicare tax which is two point nine percent when you include both halves. And so you know you can have fairly significant tax rate on any money you make on a side gig particularly as a resident or when you’re in the military. I was appalled just how high my marginal tax rate was on my moonlighting income when I was in the military. I think I only had about 70000 dollars in taxable income that year but my marginal tax rate was in the 40 percent range. It was really pretty terrible between pain both halves of the Social Security and the state income tax and the Medicare tax and the federal income taxes is pretty brutal. [00:28:49] Next question you had was when calculating my solo 401k employer contribution of up to 25 percent. Can I only use the side hustle income of fifty thousand. Or can I take 25 percent of my total income of 350000. Nope if you want to put it into the businesses 401k that Solo 401k you can only look at the income the business made so that 50000. [00:29:10] And his final question if I have one more than one unrelated side hustle such as insurance consulting and writing fiction can I combine all those incomes to calculate my solo 401k contributions. [00:29:21] Yes you can or do I have to create a separate solo 401k for each side hustle. You actually can create a separate solo 401k. But since the employers are all related you’re not going to get you know multiple maximum contributions. You can’t put fifty five thousand into each of your 401 ks because you’re the only owner of all those businesses so they’re all looked at together by the IRS and you have one fifty five thousand dollar contribution limit. No matter how many you have so you might have well just have one. [00:29:52] All right that was a lot of questions from residents. Thanks for listening and I hope that was helpful to you. Our sponsor for this episode was PracticeLink. I wanted to give them a special shout out for that. PracticeLink is the #1 online physician job board. They help you find the right opportunity in the right community, AND it’s 100% free. Join PracticeLink today to browse physician and advanced practitioner opportunities across town or across the country. Create a profile to make yourself visible to physician recruiters looking for you. Visit PracticeLink to learn about all the free career resources available. [00:30:34] Make sure you check out the White Coat investors Facebook group. And remember you have until July 7th to get that 15 percent discount on the fire your financial advisor online course head up shoulders back. You’ve got this. We’re here to help you and I’ll see you next time.